Two empires meet in this beautiful, mystical land. 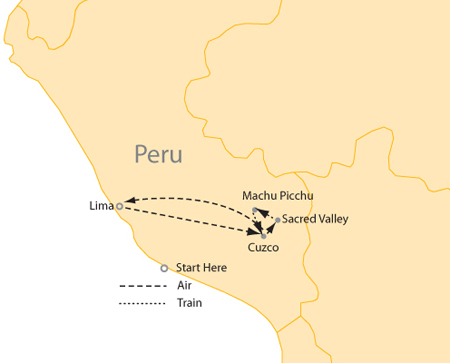 You’ll explore Lima, the colonial capital of South America and then soar to the heights of Machu Picchu aboard the luxury HIRAM BINGHAM TRAIN to explore the mysteries and magnificent vistas of this world wonder. 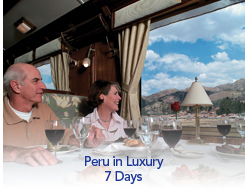 Luxury accommodations include an oxygenated room at the Monasterio Hotel in Machu Picchu.